26 March 2015. 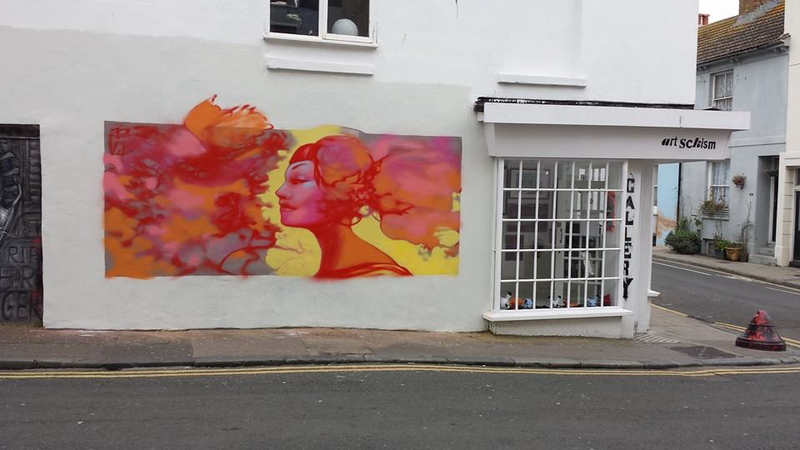 Wonderful Street Art is being painted on the wall of the Art Schism Gallery in Brighton’s North Laine. Artist known as “Ten of Swords” . The resolution of a difficult situation, faced with truth at last. The colours are a warm harmony of oranges, yellows and reds complemented by pale purple. The mood is enhanced by the face, with its sensation of quiet joy. Lovely. This entry was posted on March 26, 2015 by braveadmin in Art Schism, Street Art and tagged street art, ten of swords.